As you can tell in the picture, the Paperwhite is smaller than the Keyboard. Both have a 6" screen, but the dimensions of the "body" of the Paperwhite are smaller (6.7" x 4.6" x 0.36"). The Paperwhite weighs a little over an ounce less than the Keyboard (7.5 oz vs. 8.7 oz) and has a higher resolution/pixel density. That means it's lighter in your hands, and the text is sharper and clearer. The Keyboard had 4GB of storage on the device, but the Paperwhite only has 2GB of storage on the device. When I finish reading a book, I typically remove it from the device so it's archived in the cloud. Since you have easy access to all of your archived books, I haven't had any issues with having less storage on the new Kindle. The only time it might matter is if you have a lot of personal documents or PDFs on your device since they can only be deleted (not archived). I have Wi-Fi only on both Kindles. It's cheaper that way - and I can't think of a single time where I've needed to connect to the Internet and wasn't able to just use Wi-Fi. I mostly download books while I'm at home, so there's no connectivity problem. The only other time I've downloaded a book was on vacation, but almost all hotels and rentals have Wi-Fi now so it also wasn't an issue there. I think the Keyboard and Paperwhite are about the same thickness, as you can see in the top picture. 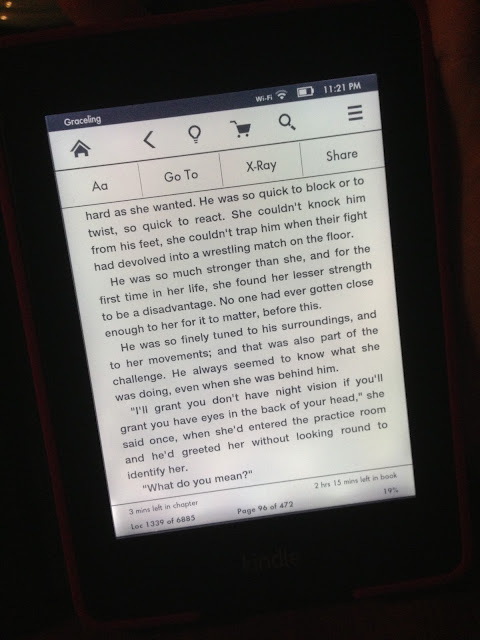 The only buttons on the new Kindle are pictured on the bottom. There is a place for the charger, and the button to turn it on and off. Both Kindles have a battery life of 8 weeks with the wireless off. I haven't actually tested this out, but I know that your battery does runs out more quickly if you keep the Wi-Fi on at all times. I just turn the Wi-Fi on when I need to download a book (from the store or archive). The Keyboard had an outlet for headphones because it was audio-enabled, but that's been removed from the Paperwhite. I never listened to audio on my Keyboard, so this isn't a negative for me. One of the most notable differences between the two Kindles is the lack of a keyboard on the Paperwhite. The Paperwhite is touchscreen, so it doesn't have any external buttons to turn the page or type. I love the touchscreen! 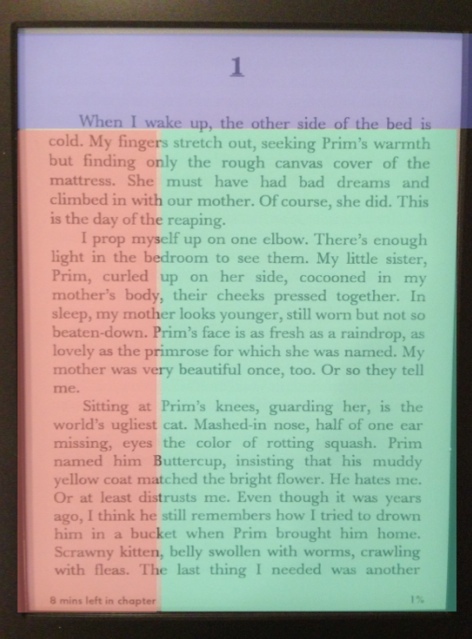 I've highlighted the three areas you can touch while reading to perform different functions - the purple area to see the navigation bar (with all the menu options), the pink area to flip backwards in the book, and the green area to turn the page forward. Because of the size of the Kindle, you can hold it in one hand and just tap the screen with your thumb to go to the next page. I love being able to use it that way! I didn't own the Amazon leather case for the Keyboard, so I can't compare it to the new Amazon case. I will say, however, that I love the Amazon case for the Paperwhite. The leather is soft and has a sort of grainy texture that feels really nice when you're holding it. The inside part of the cover where the Kindle fits is actually rubber (as you can see in the photo below). My favorite thing about the size of the Paperwhite is that it's small enough to fit in the Amazon case and my sleeve that I adore! Check out the etsy shop where I got mine - simbiosisbyjulia - to see her other cute patterns. Another thing I love about the case is that it puts the Kindle to sleep when you close it, and it wakes the Kindle back up when opened. Seriously, it's so cool! Also, I like to keep the Kindle turned off (not just asleep) at night, and the case automatically turns it on when I open it the next day. It's like magic! Another thing that's different about the Paperwhite is that it comes with ads. As you can see in the picture on the left, the ads are at the very bottom of the home screen (as well as screensaver when it's asleep). So far, the ads haven't bothered me. They don't interfere with reading since it never shows ads while you're in a book, and I'm happy the ads make it cheaper. However, if the ads really bother you, you can pay an additional $20 to have them permanently removed. I've sorted my books into collections because that's how I like to organize them. If you open a collection, books are sorted by your preference (recent, title, author). 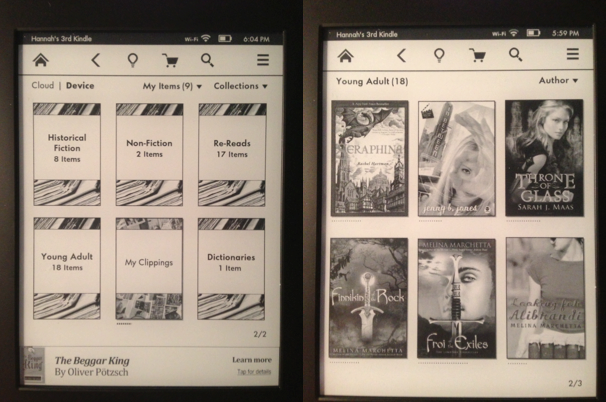 If you don't group your books into collections, you can also sort them by recent, title or author on the homepage. The Keyboard just listed books without images, so I love being able to see the covers as I scroll through on the Paperwhite. The other big change with this Kindle is the light. As you can see on the left, just tap the lightbulb icon in the menu to change the screen's brightness. 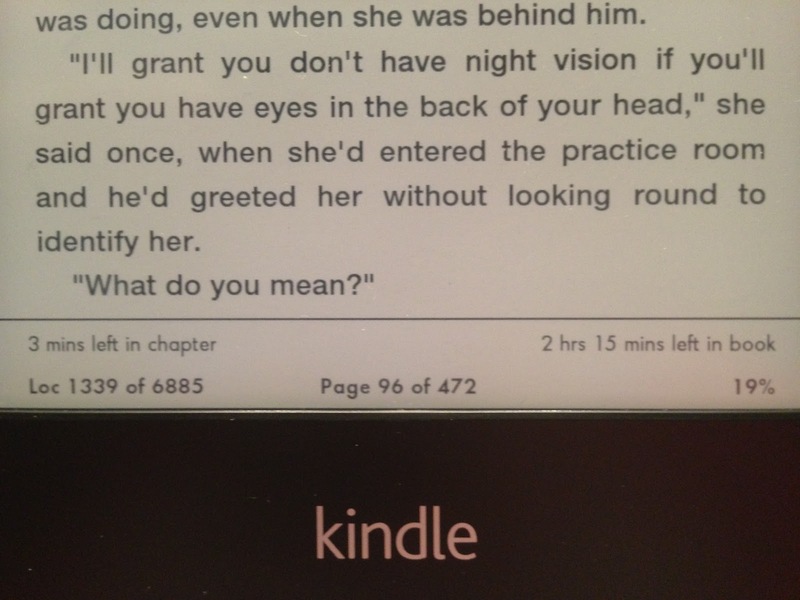 The image on the left is with the light turned off - so it looks exactly like it would on the Keyboard or standard Kindle. 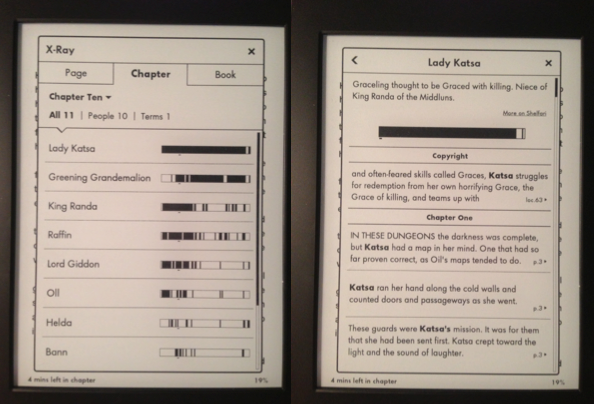 The image on the right is with the Kindle's light on full brightness. Here is another image with the screen on the brightest light setting, and I also turned off the lights in the room. I'm in love with the light feature! It doesn't hurt your eyes like reading on a tablet does, and it's still an e-ink screen. I actually keep the light turned off for the most part because I'm usually reading in well-lit places. However, my husband often goes to sleep before I do, and I love being able to read my Kindle in the dark without a book light or a lamp. It's wonderful! It's still a normal e-ink screen, and it isn't backlit. The lights are around the edge of the screen, and it's almost like using a book light where the light shines down on the page. 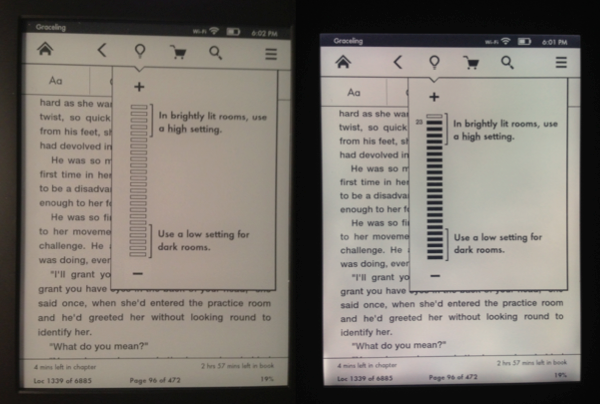 When Kindle light is off, it's exactly like any other e-ink screen. There isn't a glare when reading outside if the light is off. I haven't tried to read it outside with the light on because I haven't needed the light outdoors. There are four menu options available while you're reading a book: "Aa," "Go To," "X-Ray" and "Share." The "Go To" option lets you do just that - go to the a specific chapter, page or location in the book. 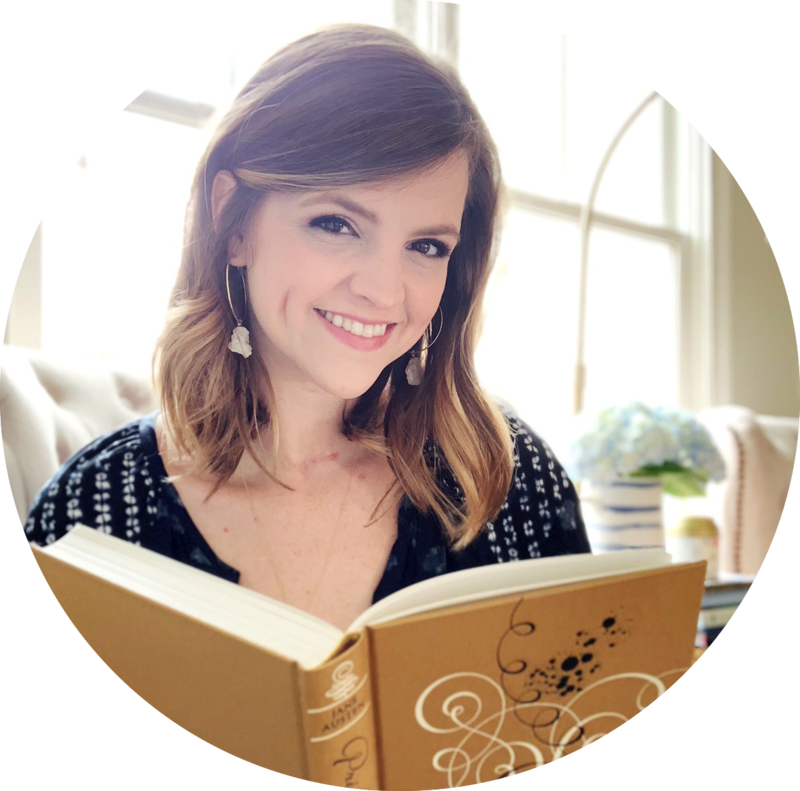 The "Share" option lets you share a message and link to the book to either Facebook or Twitter if you've connected an account. The "Aa" option allows you to change the size of the font, the font itself, the line spacing and the size of the margins. You had the ability to do some of the same things with the Keyboard, but I don't think you could change the font itself. Pretty cool! The "X-Ray" feature is brand new, and it's pretty neat. If you click it, it shows the important people and terms for a specific chapter or for the whole book. For example, Lady Katsa is the most important person in this chapter, and you can click on her name to see a brief description of who she is and find every place in the book where she's mentioned. Although it's a feature I haven't really used, I think it's pretty fun. My favorite new feature (aside from the light) is this one! The Keyboard also showed the percentage I'd read in the book, the page I was on or my location, but now I can see the time left in the book and the chapter. Based on how quickly you're flipping the pages, the Paperwhite will automatically calculate how long it will take you to finish the chapter and read the whole book. I'm in loveeeeee with this feature. You just don't even know. 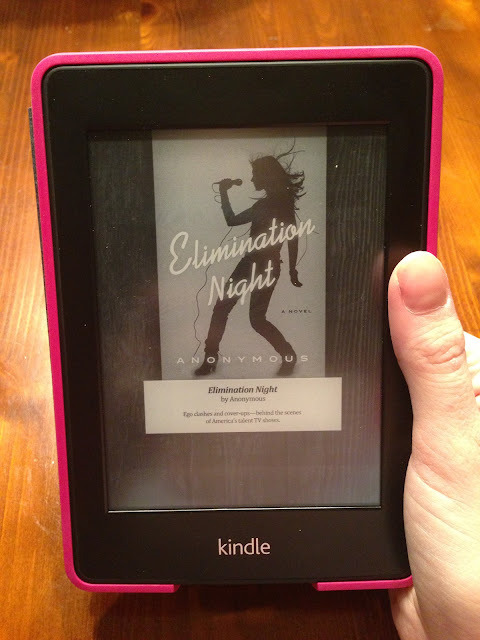 Finally, here's the Kindle in my hand! It's easy to hold and lightweight. It's asleep in this picture so you could see an example of the ad screensaver. Just swipe at the bottom of the screen to wake it up and you're ready to read! Feel free to let me know in the comments if there's something I didn't cover that you want to know more about. Haha! Glad I could help :) I did realize this week that even when it's all the way off in the settings there is still a little bit of light on. I only realized it because I accidentally turned off my lamp before my Kindle. I'm assuming it still uses less battery than when it's on a higher setting tho! Can you read outside without glare on the screen? Maybe you covered it, but I can't tell if the light feature replaces the no-glare or if it is backlight AND ALSO no glare. I read outside and in the car all the time, so this is a pretty big deal for me. I need a screen that I can see in the beautiful Southern sunshine! I'm VERY ATTACHED to my regular ole' Kindle, but you make a pretty good case. I think it's my FAVORITE feature - even more than the light. And yay for the Kindle Fire! Great breakdown of the Kindle! I've only owned a Kobo and now I have an iPad ... I'd love to have a Kindle, but I think I'd most like having the audio feature so I can keep reading a book while not reading it. Yeah I understand what you mean about the audio! It hasn't been an issue for me because I listen to the audios on my iPhone. Glad you liked the breakdown! That's exactly why I love the feature! I hate when I'd get tired and just stop in the middle of the chapter and then realize I was almost done. Annoying! So glad I could help and you enjoyed! Thanks Taylor! I really love so many of the features on this - it was almost hard to get used to at first! I kept trying to tap the side to turn the page (I had the Keyboard too). Glad my review made you want one! 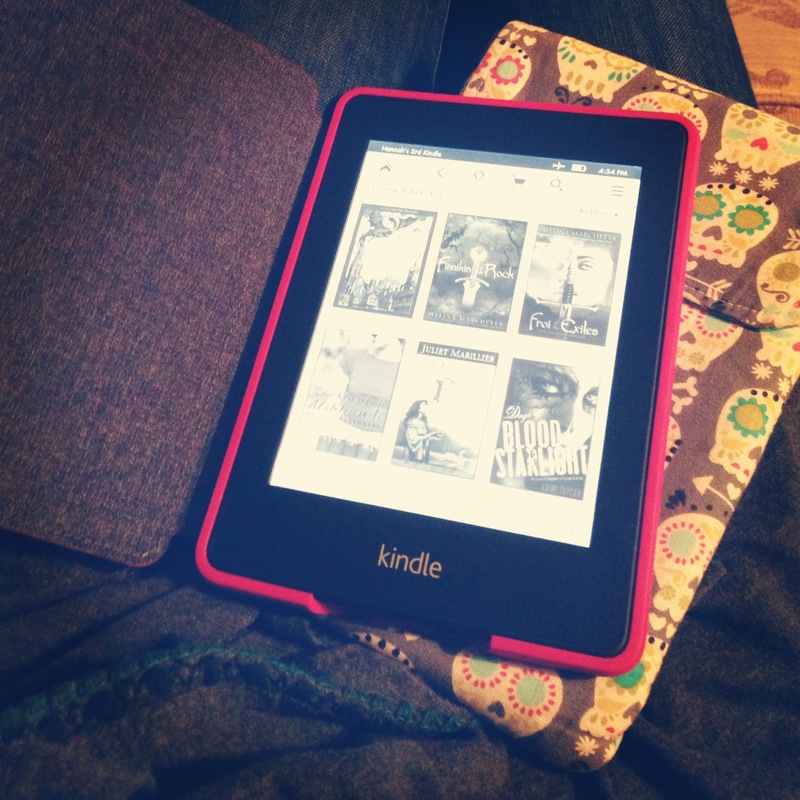 I gave my old Kindle to my fiance last summer, mostly because he's obsessed with Amazon and Kindle books and Kindle freebies. Plus, I figured that since I have an iPad, I could live without a Kindle. Though I do use the Kindle app, just reading about the new Paperwhite, and seeing how awesome it is kind of makes me want one all over again! Hmm. I may have to think about this one. Definitely think about it! I will read for long periods of time so the iPad starts to bother my eyes after a while. Otherwise, I'd be all about reading on the iPad :) I got my husband the iPad mini for Christmas and I think that seems even better for reading because of it's smaller size. This was very helpful. Thanks so much. I have a Kindle Keyboard, and an iPad. I love reading on the Kindle, but your review really makes me want an upgrade! Thanks! I'm really glad it was helpful. It took me a while to decide if I wanted to upgrade so I was hoping this post would help others make the decision (even if the decision was to stick with the Keyboard). AAHH! The Paperwhite looks so incredible! I love the time left feature, and the light is such a bonus. I'm a little worried about the storage space because I do have quite a few NetGalley books on my kindle keyboard and I'm not sure that I'd be able to store them in the cloud. But this review definitely makes me want one!! I have yet to reach the storage limit. I have like 50 books downloaded on it right now, but I've had closer to 70 at one point. 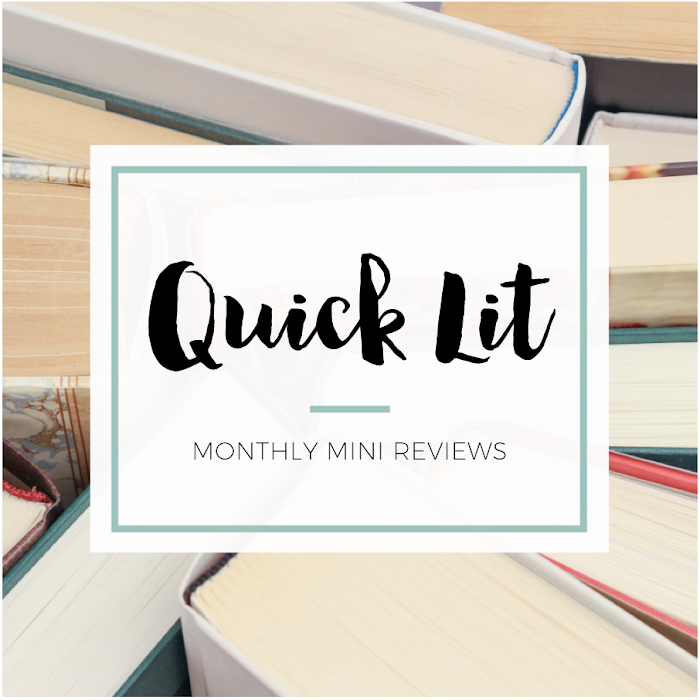 I don't know how many NetGalley books you have, but I think you'd probably be fine. 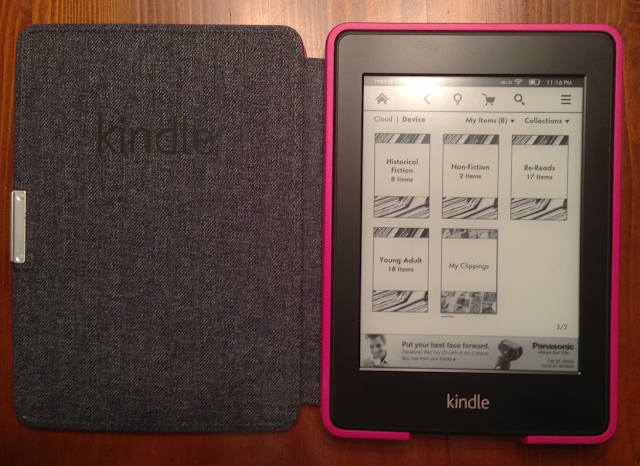 I loved my Kindle, but I don't find a huge difference reading on my iPad Mini, so it's now retired. This makes me really eager to try the Paperwhite though, which is what I almost got instead of the iPad! The iPad is definitely a more diverse device - you can use it for many more things! However, I do love having a device dedicated to reading so I don't get distracted by Twitter, Facebook, etc. Glad the review was helpful! Great review!!! I absolutely ADORE my Paperwhite, and I got the same pink cover you did! :D I upgrade to a Paperwhite from a Kindle Touch and I love it. My favourite thing is definitely the lighting system. It's amazing to have the e-ink and be able to read in direct sunlight with no glare, but still have a built in light so you can read in the dark!! Sorry I'm so late to replying to this comment! Well, I don't typically use it at hotels - maybe only once or twice - and I think it kind of depends on how the hotel's WiFi is set up. I know it's opened the Internet browser on my Kindle before to type in the hotel password or put in like my last name/room number before. Sorry I can't be of more help on that one! I've read people complaining about the "deadspots" of light and/or pixels? What are your comments on them? And how do you feel about the touch screen and fingerprint smudging? Is it almost nonexistent? I have a Kindle 4, the one below the Kindle Touch, and if I accidentally touch the screen, my finger almost always leaves a smudge on the screen. So, I'm not 100% sure what people are referring to with the "deadspots" of light. If it's pitch black in the room and my Kindle is on the brightest setting, I can see the small slightly darker spots on the screen where there aren't lights if that's what you mean. But it's not something that has ever stood out to me. I also don't keep it on the highest light setting, however. There are a number of lights that shine down on the screen - and they are evenly space apart - but if you're looking you will notice that it's slightly darker in those gaps between light. Maybe that's what you mean? I'm not really sure, so I guess that's a good thing because it's not anything that's really stood out to me.